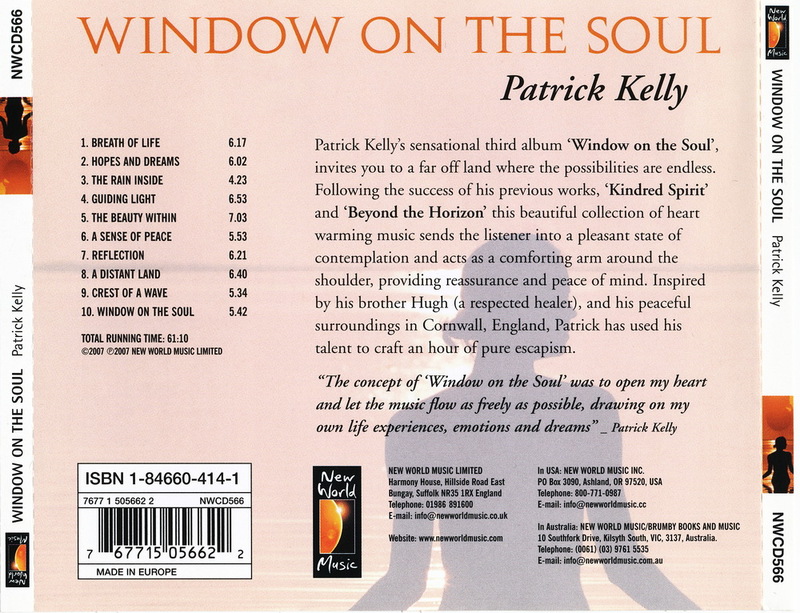 Patrick Kelly's sensational third album, "Window On The Soul" invites you to a far off land where possibilities are infinite. Following the success of his previousworks, Kindred Spirit and Beyond The Horizon, this beautiful collection of heartwarming music invites the listener to sink into a pleasant state of contemplation. Acting as a comforting arm around the shoulder, the melodies instill calm reassurance and peace of mind. Inspired by his brother, a healer, and his tranquil surroundings in England, Patrick has crafted an hour of pure musical escapism.